Being charged with DUI is a frightening experience. What's more, the penalties for a DUI conviction can drastically change your life. 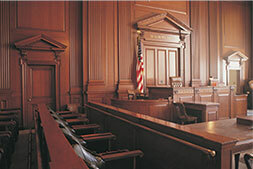 If you have been charged with DUI, you should carefully consider your legal options. Avoiding the penalties associated with DUI — or avoiding a conviction altogether — should be your top priority. Even if you failed field sobriety tests or a Breathalyzer test, you may still have strong options for defending against DUI charges. Working with an experienced DUI defense attorney can help you understand your legal options based on the unique circumstances of your case. To learn more, contact a Miami DUI arrest lawyer from the Law Offices of Russell D. Bernstein, P.A., The Legal Helpline — A Private Law Firm. For each subsequent DUI conviction, the penalties increase. Whether you have been charged with DUI for the first time, or if you have previously been convicted of drunk driving in Florida, it is important to work with an experienced attorney who understands what is at stake, and is committed to protecting your rights. If you took a Breathalyzer test and your blood alcohol content level registered .15 or higher, an ignition interlock device will be installed in your car. Our firm will work hard to get your case dismissed if your breath test results were high. If you have been charged with DUI, you have 10 days to request an administrative hearing to seek a hardship license. This license would allow you to drive for limited purpose, such as going to work or school. Contact a Miami DUI arrest lawyer today by calling 855-352-8425. In your initial consultation, we can explain your legal options for fighting your drunk driving charges and avoiding the penalties associated with a DUI conviction.